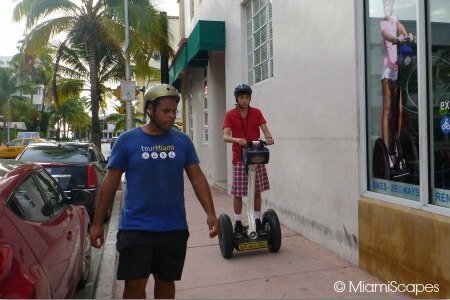 Riding a segway has to be one of the most fun ways to sightsee in Miami. 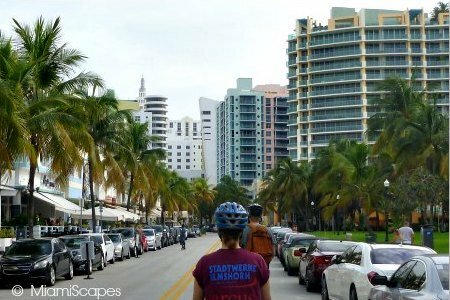 One minute you are gliding through the trendy Art Deco District and the next taking in the sweeping views of Biscayne Bay... you certainly get to cover a lot more ground and get to see more of the city this way. 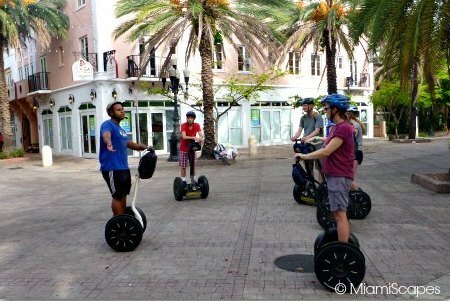 Segway tours take you through the best of South Beach, along South Pointe, the Miami River... or you can simply rent a segway at one of the many outlets throughout the city and explore on your own! A Tour is a good idea specially if this is your first time on a Segway as friendly guides provide all the instruction and equipment for you to ramble through the popular spots safely and with confidence. The procedures are about the same everywhere. You first check in at the tour office/desk and complete the paper work including the usual release forms. Once that is taken care of, you get a helmet and the 20-30 minute introduction begins. The guides go through the basics of riding the Segways, and everyone gets to go on a "test run" for a few meters, do a couple of turns, stop, roll, stop, turn, etc. Our guide, Noe, was very patient and spent as much time as needed with everyone and made sure we all "got it", then we were on our way! 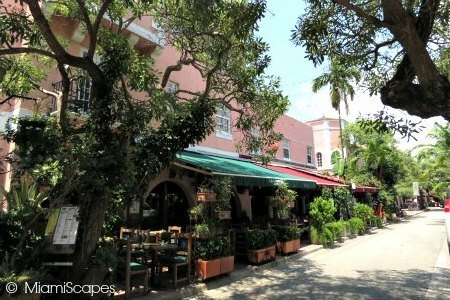 Ours was the Art Deco Segway Tour in South Beach, the first stop was to a local hole-in-the-wall cuban cafe for a "cortadito", a tiny cup will definitely perk you up so it's a great way to get started! 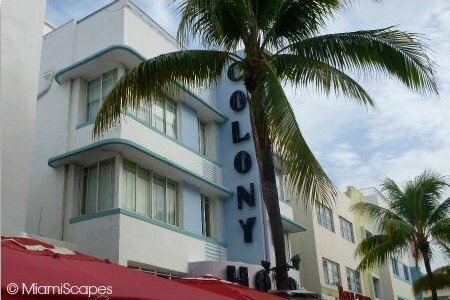 Then on to Ocean Drive and the Art Deco District, passing through some of the most gorgeous architecture the city is known for. 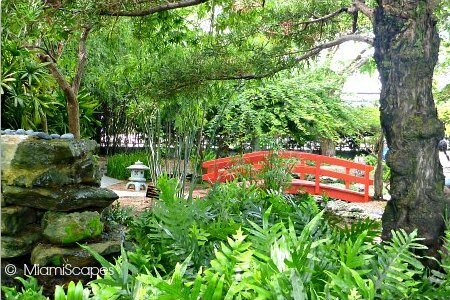 Noe provided excellent tid bits of information about the history of the area and some of the most remarkable buildings, recommended good places to eat as well as the latest gossip about this hotel or that club. If you are really interested in the architecture of the district then take the time to explore by foot after the tour. This tour will only touch on some highlights and background. 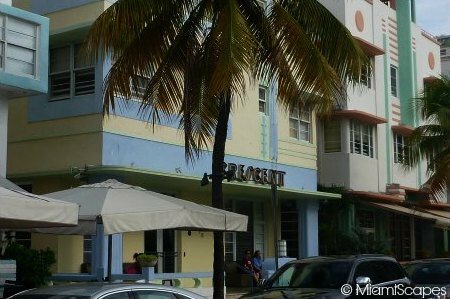 It is NOT meant to be a comprehensive tour of the Art Deco District by any means but is certainly a great introduction. Tours last between 2 and 2.5 hours, and run several times per day, including at Sunset when you get to enjoy marvelous views. 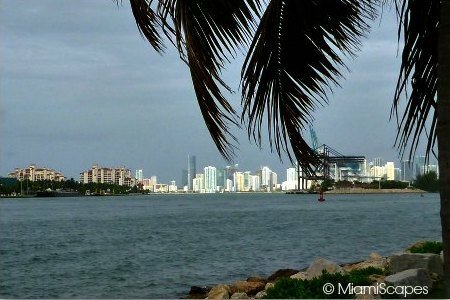 Tours cover different areas besides South Beach, including Star Island and the Miami River. 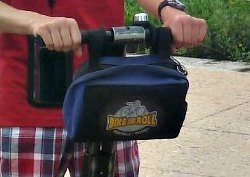 Leave backpacks and handbags behind, each segway has a small carry pouch where you can put small things like keys, id, money, wallet, small camera and water bottle. First time on a segway? We highly recommend the Sunrise Segway Tour, which is actually early morning (8:00 am). Why this tour? At the early hours, there is hardly any traffic which makes it easier than zipping around South Beach when it gets crowded with people and cars. And during the summer, temperatures are much pleasant early in the morning, then you have the rest of the day to head out to the beach accross the street when it starts getting scorching hot!